Choosing the right cycling clothing to ride during the winter is definitely not an easy task. Wear one layer too many and you’ll risk being too warm, especially when the pace gets hard and you can’t stop to undress. One layer too less, you might be too cold. There are many winter jackets that meet all the 3 important criterias I mentioned above. It’s a matter of finding the right one that suits all your needs. 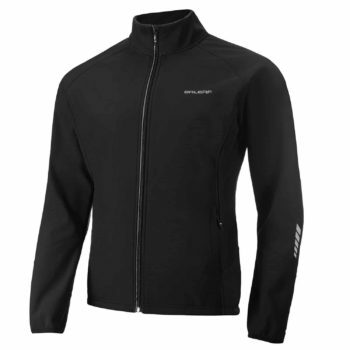 Here are the top 10 winter cycling jackets to consider. 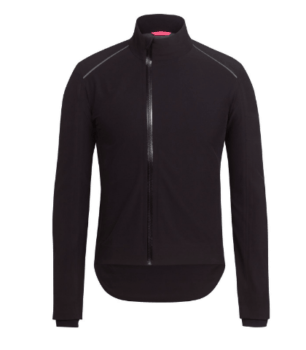 Castelli’s Perfetto is everything you want in a value for money winter cycling jacket. For years, pro cyclists across various world tour teams would throw on an unmarked black jacket during the year’s hardest races in the worst conditions, such as the Milan San Remo. Internet forums everywhere were alighted with discussion about who the possible manufacturer of the jacket was until one day it came to light that Castelli made the top-secret garment. 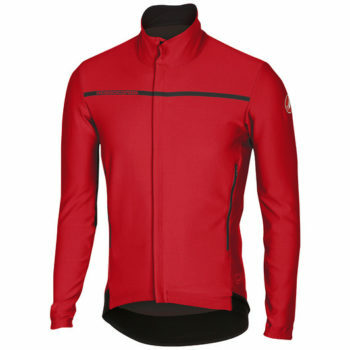 The Castelli Perfetto is extremely windproof, waterproof, reasonably insulated, breathable, and lightweight. In short, it comes with all the features you’d want in the best winter jacket. Just after sunrise, you take a peek outside at the weather that you’re going to have to deal with your ride. It’s pouring cats and dogs, and it’s cold to boot. What do you do if you insist to ride? The short answer is to throw on a Gore C3 Active Jacket and just be done with it. Featuring a fully-waterproof outer shell, the Gore-Tex fabric used here is probably the best that you’d want to be wearing. 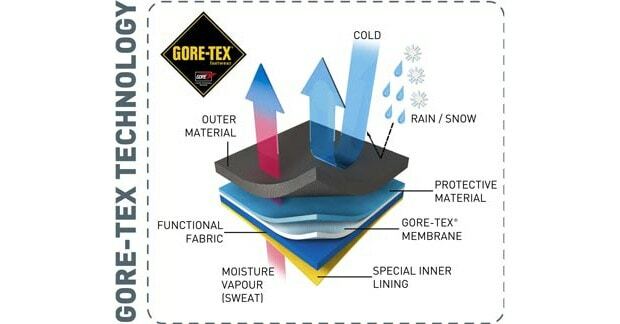 Gore is well known around the world for the foul weather clothing fabrics and even top brands like Castelli uses them in their jackets. A long back flap keeps you protected from water splashes coming up from the rear wheel and along with being completely waterproof, this jacket is also windproof and breathable. Pearl Izumi has a long and illustrious history of making cycling gears. It’s not only amateurs cyclists who demand their for their winter gears, but also several pro cycling teams are outfitted by them such as BMC Racing in recent years.. Using 3 different softshell layer panels to achieve great wind and water protection in vital locations, the Pro Pursuit winter jacket the perfect winter jacket for cyclists looking to put in the miles through winter. Just because you’re going uncomfortably hard on the climbs doesn’t mean you need to be uncomfortable inside your jacket. And that’s why this winter jacket delivers a next-to-skin feel to keep you comfortable while you’re deep in the hurtbox. Designed specifically for road cyclists in mind, the Endura Pro SL Thermal Windproof jacket offers light water resistance while keeping those cold winds off your skin. To achieve a close fit, Endura used a high-stretch, windproof fabric with a soft, inner thermal lining to ensure you’re just as comfortable at mile 7 as you are at mile 70. A high cut, double layer collar goes nearly up to the chin to keep your neck warm and the extended cuffs integrate seamlessly with your favorite gloves. And, as you’d expect from a high performance winter jacket, there are reflective trims throughout the jacket to ensure your safety in the low-light hours and on cloudy days. The Castelli Alpha ROS is in class of its own. Period. Castelli developed a patented engineering method specifically for the Alpha ROS, otherwise also called as Rain or Shine engineering. If you guessed that Rain or Shine engineering means you can wear this jacket any time, in any weather conditions, then you’re right on the money. Featuring a Gore Windstopper 150 fabric, the Alpha ROS is supremely windproof and perfectly insulated, while maintaining a high degree of waterproofness, breathability and best of all, still being lightweight. The Castelli Alpha ROS isn’t just for the nastiest weather days. 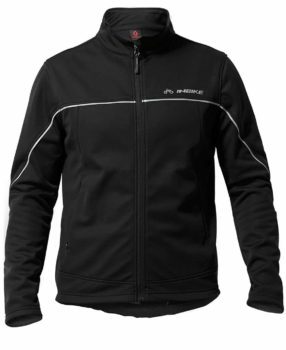 It also works great on mild winter days, making it your go-to winter cycling jacket. Rapha spent over a decade developing their Classic winter jacket, taking everything they’d learned from previous failed attempts and iterations and rolling them all into what amounts to this jacket. It’s everything you want a cycling jacket to be, windproof, waterproof, breathable, and warm, without compromising in any direction. How they achieved such a feat doesn’t matter as much as the fact that they’ve done it, and now riders everywhere can layer up in style. 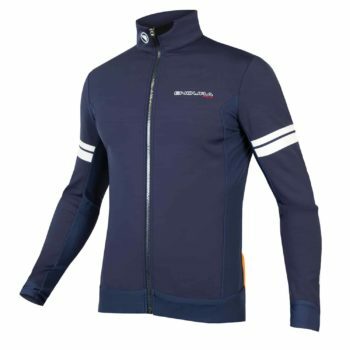 Arsuxeo delivers a fine softshell jacket that is both windproof and waterproof for those cold winter mornings when even the thought of rolling out makes you wince. The cozy inner thermal fleece feels nice against the skin and they also rolls up easily or can be quickly tied around your waist when you get where you’re going and are all warmed up. The inner fleece lining also makes for a breathable material that stretches with your movements, maximizing comfort while out on the road commuting to and from work. This Inbike jacket features a windproof and water resistant outer shell which is ideal for those cold and wet winter riding days. There’s a soft inner fleeced layer which keeps your body warm and toasty. As with most cycling jackets. the materials are highly breathable to allow the moisture buildup inside to be released. Otherwise, you’ll start getting sweaty inside after several efforts at tempo pace. 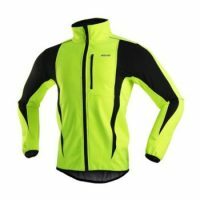 Best of all, this jacket is so versatile that you can use it for other activities such as walking, running and hiking. 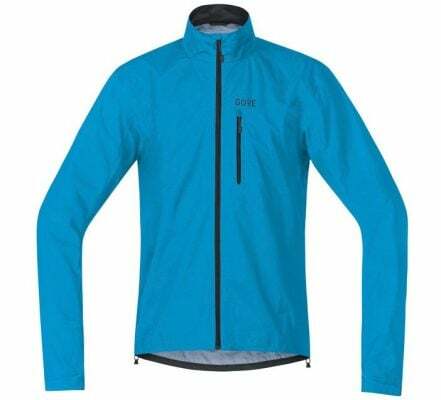 The Baleaf softshell jacket sports great looks at an even better price. With an ultra comfortable and soft fleeced interior, your body heat stays put while the high-cut double layer collar keeps the chill away from your neck. When it comes to retaining warmth, it’s the little details that count like full length zippers for regulating your body temperature, internal draft flaps along the zipper and large pockets with garage seals around the zipper ends. All of these details add up to a magnificently warm winter cycling jacket that also provides you with wind and water resistance. Whereas other manufacturers are content to use existing weather-resistance tech, Altura has gone a step further by developing its own. The Altura Shield technology provides you with superior wind and rain protection without compromising on breathability. 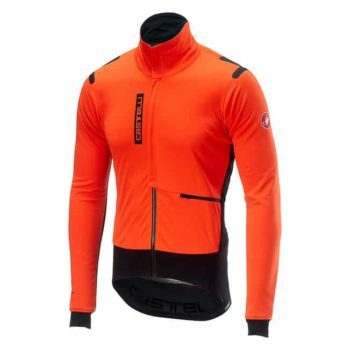 It’s ideal for those hard riding days in foul weather conditions. To keep wind resistance at a high, Altura employs their proprietary Ergofit 3D patterning technology to keep the garment fitted snugly to your body like a second skin. Perfect for those who want to look sharp. The two rear zipper pockets ensure your belongings are nicely stored away, and incredibly, all of this comes in at only 170 gram. The first point to consider when you’re gearing up to make a winter jacket purchase is the level of packable portability you’ll need out of your clothing. Some cyclists enjoy the ease of being able to take a jacket off, roll it up, and stuff it in the back pocket or under the back of the jersey when the sun comes out and warms everything up. If that sounds like you, then you’d probably prefer a soft shell jacket. Soft shell jackets are more wind and waterproof than your typical long-sleeve jerseys while also giving better warmth. The nice thing about a softshell is that when you feel it has done the job, you can stow it away without much thought. On the other hand, winter weather gets rough in your area and you don’t foresee much need for modularity when it comes to your col weather layers, then a hardshell jacket will be more up your alley. Hardshell jackets are often made with Gore-Tex or other weather-impermeable materials that, while warm and weather-proof, don’t pack up very easily. PRO TIP : Use softshell jackets when the weather conditions could get ugly but there’s a decent chance of fair weather as well, and hardshell jackets when it just looks plain grim outside. When considering the breathability of your jacket, think first of the types of efforts you’ll be making while wearing it. Is it a piece of gear meant for keeping you warm out on training efforts? 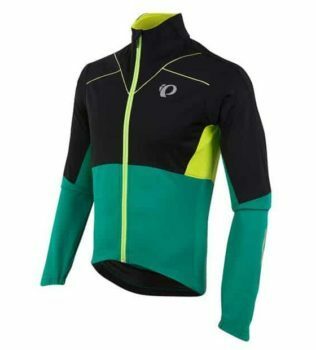 Well, if you’re doing Zone 5 efforts up your local hill, odds are you’ll be plenty warm after the first few intervals and won’t need much in the way of a winter jacket. Perhaps you’re just looking for a warm and dry way to commute to and from work or on cruiser rides around local roads. In that case, breathability won’t be a major concern in your jacket selection criteria. The more weather-proof a winter jacket is, the less breathable it will be. Fabrics like Gore-Tex are incredible for keeping you dry and toasty, but quite poor when it comes to keeping airflow going. Consider that in order for a jacket to have windproof qualities, the permeability and venting of the jacket will be minimal. PRO TIP : If you’re looking to do higher intensity efforts, keep your jacket light and vented. If you’re riding at an easy pace and don’t produce much sweat while out, then feel free to layer on the warmth. Winter cycling jackets are all, to some degree or another, waterproof. What good would a winter jacket that didn’t shed water be, anyhow? As the waterproof value of your jacket rises, its breathability will decrease. So that is something to consider. However, if you live in a region that sees plenty of rain, breathability will come in second to staying dry. One major point to watch out for when selecting a jacket is the difference between a jacket being waterproof vs water-resistant. While the difference in wording may be subtle, the reality is not. Water-resistant jackets typically have a light DWR (Durable Water Resistant) coating that won’t keep you dry in a true downpour. The DWR coating is what you’ll typically find on softshell jackets and are meant to keep light rain and showers at bay, but not much more. True waterproof jackets will be storm-worthy barriers against the rain regardless of how hard it comes down. Waterproof rating is measured by placing the fabric under a 1″ x 1″ tube. 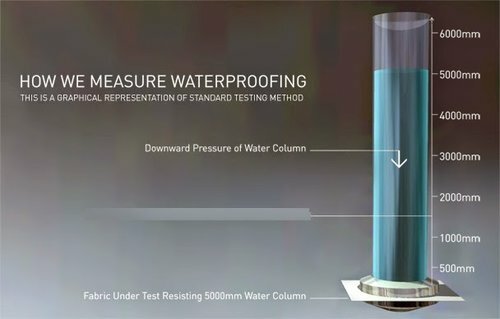 A 10,000mm rating fabric would only start leaking water once the tube is filled up to 10,000mm (10 meters), 20,000mm for 20 meters and so on. PRO TIP : Check the waterproof rating of your jacket before purchasing and make sure it’s at least 15,000mm. Nothing cuts cyclists down faster than cold wind, and no feature in a jacket will be as valuable to you as windproof-ness. To this extent, you’ll want to ensure a good and proper fit for your jacket. Otherwise, the windproof rating of your jacket will lessen and you’ll feel the chill sooner. Sizing can be vary across different brands or sometimes within the same brand itself. Use the size chart as a starting point, then look up the user reviews where you’ll find a lot of information about sizing especially if there are people have similar height and weight to you. More importantly, keep in mind that you’ll be wearing at least one base layer underneath the winter jacket when you’re riding. Sometimes, you’ll even need a second layer, which is usually your regular cycling jersey. And then the winter jacket as the outer layer. PRO TIP : You might want to go one size up if you’re wearing multiple layers beneath the winter jacket. Since the jacket will be your outermost layer and will be meant to keep bad weather conditions as far away from you as possible, don’t favor jackets that have rear pockets. If you absent-mindedly place a phone or some other valuable that can be damaged in rain or adverse conditions, you’ll be unpleasantly surprised after coming out of a deluge. Instead, look for taped seams for waterproof efficiency, vents for adding breathability, a high neck to keep the chill off of your neck, and reflective details for visibility on grey days are all much more important features that you’ll be happy to have. 1. What's the best way to dress up for winter cycling? It depends on how cold the winter gets at your location and how much the temperature varies during the ride. 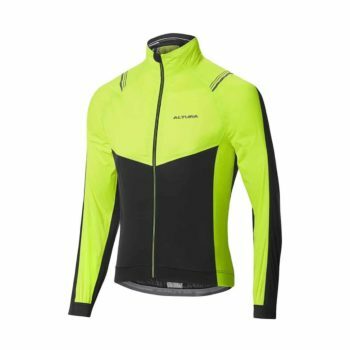 Mild Winter (15F/10C) – You can get away with wearing a winter base layer, a long sleeve cycling jersey with a long sleeve vest over the top. If the weather warms up, you can remove the vest and keep in your pockets. Deep Winter (32F/0C) – You’ll need a proper winter jacket with a winter base layer underneath, at the minimum. In some cases, you might need an extra layer of cycling jersey. Big Variation in Temperatures. Go with the layering strategy. Have a softshell jacket as the outer layer which you can then remove and stash in your back pocket when the weather warms up. 2. What's the lowest temperature can I go with these jackets? Winter cycling jackets are meant to be worn together with a base layer under it. With this combination, you can go as low as 23F/-5C to 14F/-10C. Bear in mind that your body will generate heat as you ride, so you might feel slightly cold at the start. You’ll be all warm and toasty after about 15 minutes into the ride. 3. How do I wash the jacket? The very first thing you should do is to read the washing instructions, usually located on the inner parts. Although the general washing instructions are similar, some jackets have specific washing needs. So be aware of that. Here are a few key pointers you want to keep in mind. Close all the zips and velcro straps, and turn the jacket inside out. Wash in lukewarm water around 86F/30C. If you’re using machine wash, place the jacket in a washing bag and use the delicate function. Use only a small amount of liquid detergents. Avoid powder detergents and fabric softeners. The water-repellent properties of the jacket can be reactivated by tumbling it dry in low temperatures. Only do this after you hang it dry, and it’s just slightly damp.